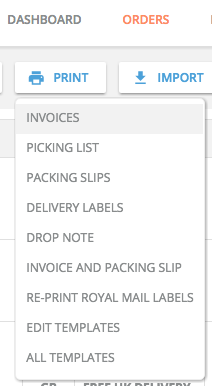 Once your Invoice Templates have been setup you can begin printing them for your orders in Veeqo. 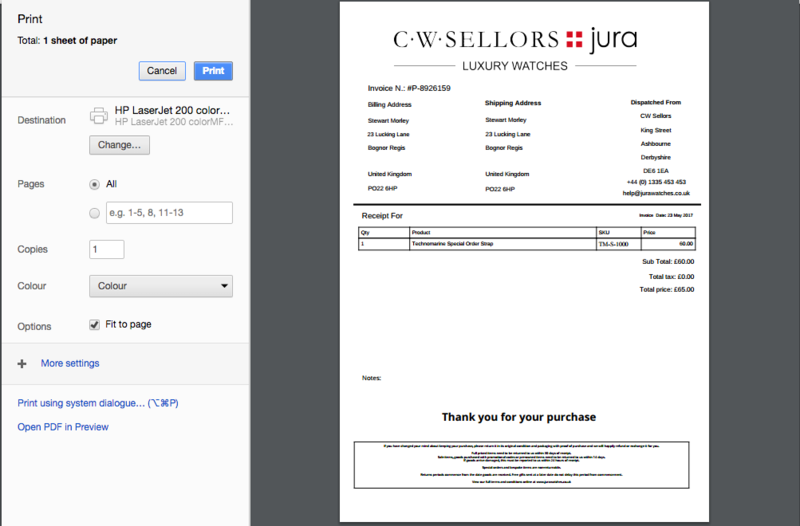 Using this guide you can either send them to your printer or save them as a PDF to be email to your customer. At this moment you can't email your customers invoices directly in Veeqo, however we can automatically send Order Confirmation and Delivery Confirmation emails. Tip: In Veeqo you can either print up to 100 orders per page. If you still want to print more than 100 at a time, simply select your Filters and then choose All For This Filter. Select your printing template and Veeqo will generate the printed document for every order under that filter. 3. The invoice(s) will then open up into a new tab. Select your printing and hit Print. To save the PDF document click Change and find the Save PDF option. Hit Print to download the file to your desktop in PDF format.